"A pleasure to read and hugely absorbing. 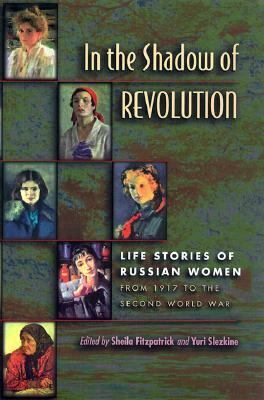 The variations in the memoirs, the clear evidence that many were written under extremely circumscribed conditions, gives one of the best introductions possible to Soviet history. Hearing the voices of individuals writing in different eras gives the reader a sense not only of the experiences women lived through (many of them terribly tragic) but also of the language they used and the terms in which they thought about their own life experiences." --Elizabeth A. Wood, MITFitzpatrick, Sheila is the author of 'In the Shadow of Revolution Life Stories of Russian Women from 1917 to the Second World War', published 2000 under ISBN 9780691019499 and ISBN 0691019495. Loading marketplace prices 118 copies from $0.95 How does the rental process work?